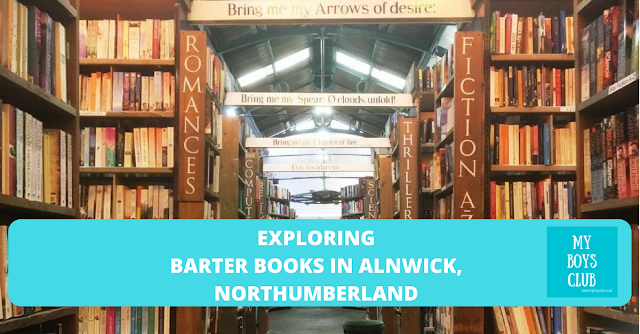 A few weeks ago we were enjoying a staycation in Northumberland just a few miles from Alnwick so we took a trip to Barter Books as we headed further into England’s northernmost county before heading home. My eldest was so captivated by the bookstore that he spent his own money on buying a hardback copy of a J.R.R. Tolkien novel. Barter Books is a bookstore like no other I have ever seen. Located in the former train station building on Wagonway Road in Alnwick is one of the biggest antiquarian bookstores in the UK with a huge selection of books from antique to contemporary novels and a whole section dedicated to children’s’ books too. The place is so big you could literally spend a few hours there. There is free parking at the former station and inside the building, you will find the original waiting rooms with roaring fires and places to sit and browse the books. When you enter the first thing that you see after a couple of bookshelves is a roaring fire and comfy chairs, with an honesty box for refreshments. And that sets the scene for the whole place. It’s so informal, laid back, honest and authentic. A real pleasure to visit. Barter Books is lucky to be located in part of a superb old and very grand Victorian railway station for a market town, It was designed by William Bell in 1887, but closed in 1968 following the closure of the branchline itself. The shop has many extra features for its customers. Open fires which create such a homely feel in mid-winter. The Station Buffet which offers good plain food, coffee, tea and cookies – that sadly we didn’t have time to sample on this occasion, but we will be back to try another day. Look up and you’ll see a model railway acting as a link between the book columns of the central room. There are three stunning 40-foot murals, free wi-fi. numerous restored station features. And generous seating allowing any visitor time to take in a whole huge room lined with over forty glass cases containing many of the more interesting antiquarian books. Inside the bookshop has seven rooms. The entrance was the old Station Parcels' Room, which still has the open window with bars through which passengers would buy railway tickets. Just beyond that window was the original Station entrance, now a Children's Room. The middle room marks the beginning of the outbound platform, with the buffers at one end. Off one side of this room and directly opposite what is now the Children's Room is a range of rooms which formed the central island of the station. These now contain the Old waiting room which remains a place for the public just to sit, read newspapers, enjoy the open fire, drink coffee - and just get away from it all, toilets and buffet. Alongside this is the biggest room of the shop, part of the old outgoing platform where the trains stopped. One of the first major iconic images of the 21st century is also still highly visible at Barter Books. Barter Books found one of a handful of originals in 2002 at the bottom of a box of books. The phrase now adorns merchandise such as mugs, tea towels and has spawned many hundred sayings based on the original. Alnwick is located just off the A1 about 35 miles North of Newcastle upon Tyne. Alnwick no longer has its own train station but mainline trains do stop at the nearby coastal village of Alnmouth, three miles away. 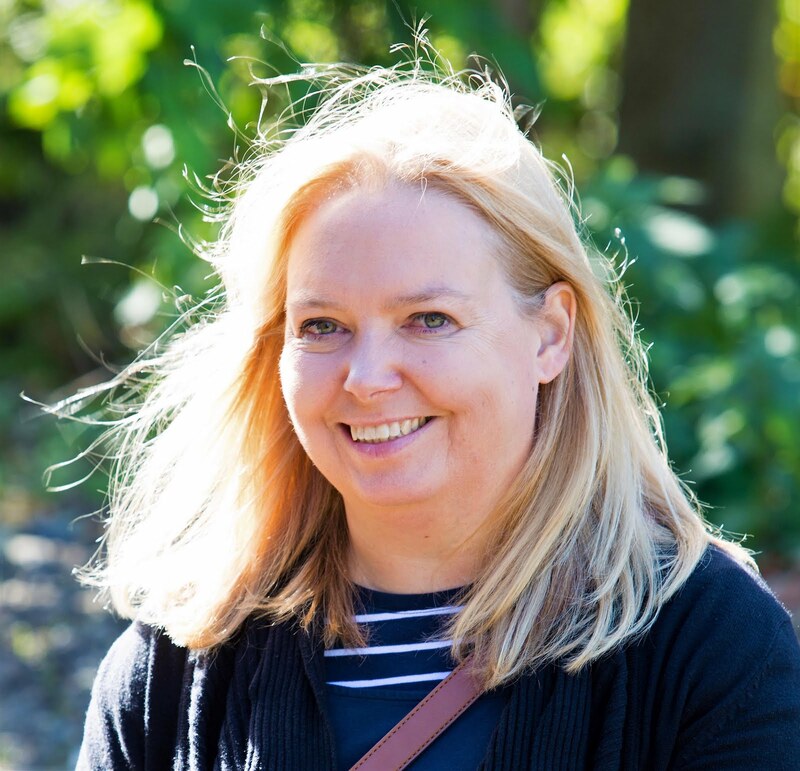 There are regular bus services connecting Alnwick with Newcastle and Edinburgh which stop just a few metres walk away, and if you are travelling internationally Newcastle International Airport is about a 40-minute drive from Alnwick. As the name suggests you can take in used books and trade against new purchases, or just make new purchases all of your own like my eldest did. My ten-year-old has a love of J.R.R. Tolkien books. He has progressed from The Hobbit and Lord of the Rings Trilogy which he has read, listened to audio books and watched the films, to reading The Silmarillion and also Unfinished Tales - a present from one of his friends. Whilst at Barter Books he spotted The Children of Hurin and spent his own money buying a hardback copy of the book. He loves it and although he’s already read it at home he has now taken it into school, to be his school reading book. I love how Barter Books has continued to inspire his journey through literature – and at such an early age. 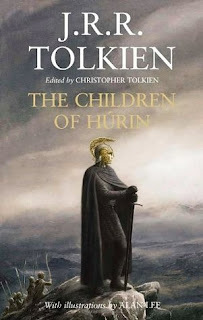 The Children of Húrin has been painstakingly restored by Christopher Tolkien, from Tolkien’s manuscripts. The epic tale of The Children of Húrin has tales of Middle-earth from times long before The Lord of the Rings. The earliest versions of this story by J.R.R. Tolkien go back to the end of the First World War and the years that followed; but long afterwards, when The Lord of the Rings was finished, he wrote it anew and greatly enlarged it in complexities of motive and character: it became the dominant story in his later work on Middle-earth. What a lovely little place. It looks fab. Perfect for a rainy and dismal day and if there's coffee and cake then even better! Oh my word this looks beautiful, I could get lost for hours in here. What a fabulous building. My girls and I are book worms and this would be perfect for us! Oh my this looks incredible! I never even knew it was there and I visit Alnwick every year! I know exactly where I'll be heading for in Summer! Oh my, this looks incredible! I never even knew it was there - we visit Alnwick every single year! I know where I will be heading this summer! This really looks like a dream shop to me! Really good to see Barter Books is still going. 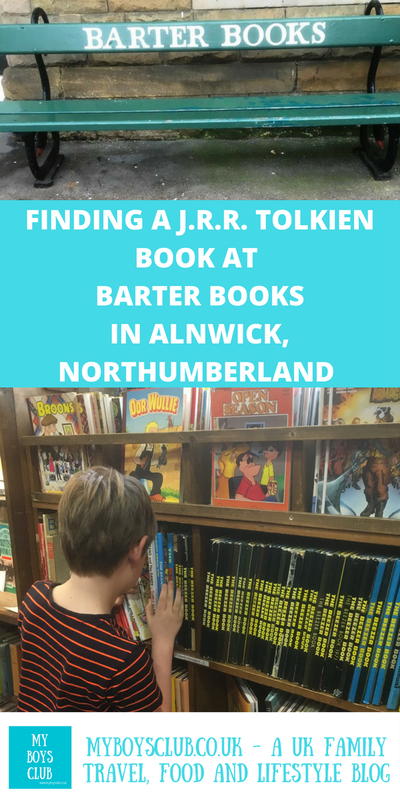 We lived near Alnwick when my daughter was 2, and it made a fab way to spend a couple of hours and go home with books, even without much money to spend. She's 27 now. Time is a strange thing. Barter Books is a lovely place to spend time browsing. I love watching that train running through the store!